Peter Rabbit fans, outdoorsy types and anglers are spoilt for choice with our selection of holiday cottages in Troutbeck. 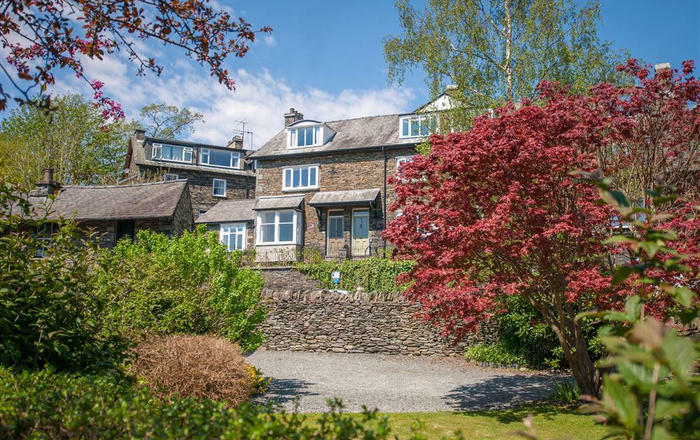 Situated between Penrith and Windermere in the stunning Lake District, and named for its fast-flowing stream, Troutbeck is a true Lakeland retreat. Beatrix Potter lived at Troutbeck Farm where she dreamt up her well-loved characters. The fishing enthusiasts among you might like to catch a brown trout from the stream for your supper. Sitting on the riverbank is a fabulous way to drink in the scenery and spot some wildlife. Take a trip to the exquisite Holehird Gardens and while there, take in the spectacular vistas to the right of Gunnera Pool, where you can see across to the Langdale Pikes and Lakeland fells. Many of our holiday cottages in Troutbeck allow hounds for the perfect dog-friendly holiday in the Lake District. Take a look and get your short break booked today!